Twenty-three years in marriage has been an enjoyable experience for a Nollywood actress, Omotola Jalade-Ekeinde, who shared about the experience on her social media. 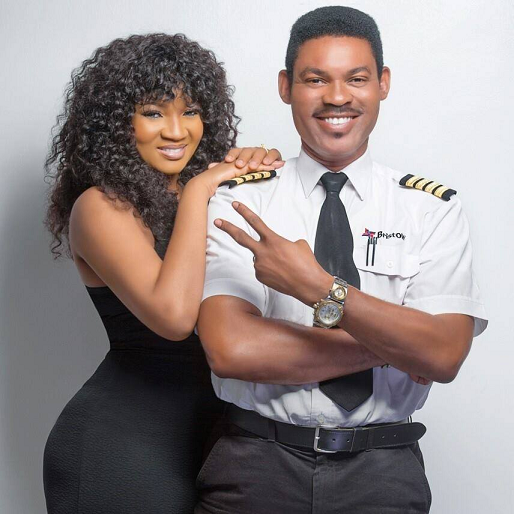 There was excitement noticed in the words of an actress Omotola Jalade-Ekeinde, as she celebrated 23 years in marriage with her husband Capt. Matthew Ekeinde. On Saturday, March 23, 2019, it was the birthday of her husband Capt. Matthew Ekeinde, whose picture alongside her accompanied hearty words on Instagram, concerning how the journey has been. A welcomed bit of flirtiness was obvious when she wrote "Happy 23rd marriage Anniversary to us and Happy birthday to you Honeyboy. It's crazy how it's been so long yet so New. " Every year is often about self evaluation for the actress who has become a model to many especially women and it is for good behaviour. She herself has those she looks up to like momager, Kris Jenner. Nigerian lawyer and businesswoman, Bolanle Austen-Peters who has revived the interest in the art of the stage. They all made Omotola Jalade-Ekeinde's list of women she acknowledges as inspiring her in another IG post she put up on the International Women's Day, that was celebrated on Saturday, March 8, 2019. "They are Fiesty, Goal getters and Focused. I find something in each of them that Fans my Fire." Being a successful woman herself, her interest in seeing better opportunities for women has noticeably become an active participation.